For a first blog about US medals I thought that it would be appropriate to highlight the behind-the-scenes deliberations that were instrumental in creating the modern American medals system that exists today. What I’ve done is copied a half dozen or so US National Archives documents and for ease of use copied them into an MS Word document, which are linked below. The original documents are primarily from the US Army 1902-1906, but what they describe would shortly impact the US Navy as well. Indeed, the Army acknowledged a debt to the US Navy for creating the first US campaign medal, the Dewey Medal, in 1898, after it’s authorization by Congress. The Army meant to build on that. New perspectives – reflected in these official discussions – cleared a path for putting in place a coherent medals system to recognize military service, merit and gallantry. I’ve been collecting US medals for 20 years since joining OMSA. I live and work in Washington, DC, and frequently visit the US National Archives in downtown DC. I do this mostly to research information about service members whose medals I have come across. While the Military Personnel Records Center in Missouri holds personnel files the National Archives in DC has mountains of other detailed data about the inner workings of the military. The records I copied and transcribed are from the Archives repository of US Army Adjutant General’s Office (AGO). Link to a pdf file of the original documents here, link to a easier to read transcribed version here. The Army was good at organizing information and correspondence, developing an alphabetized name and subject index for its correspondence 1890-1917. That is what I have tapped into for this blog. It’s certainly not definitive, given the reality that some papers have gone missing, creating gaps in the chronology of what is known. You’ll see that here. Still, much of the early material is there in the Archives, and the view inside the White House and in the upper reaches of the US Army about new military medals is fascinating. The Archives files contain drawings and photos of proposed medal designs. A number of the proposed designs are here. 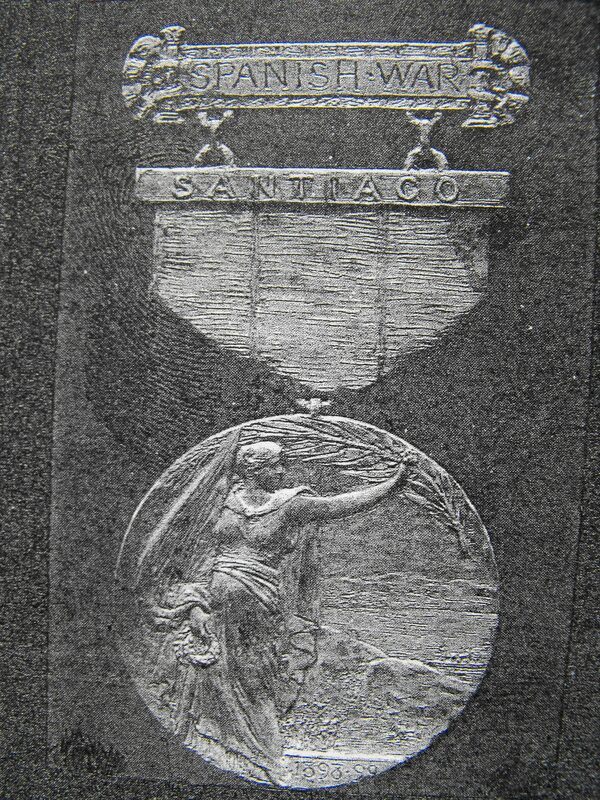 Speaking very broadly, the medals situation at the end of the Spanish-America War was chaotic. 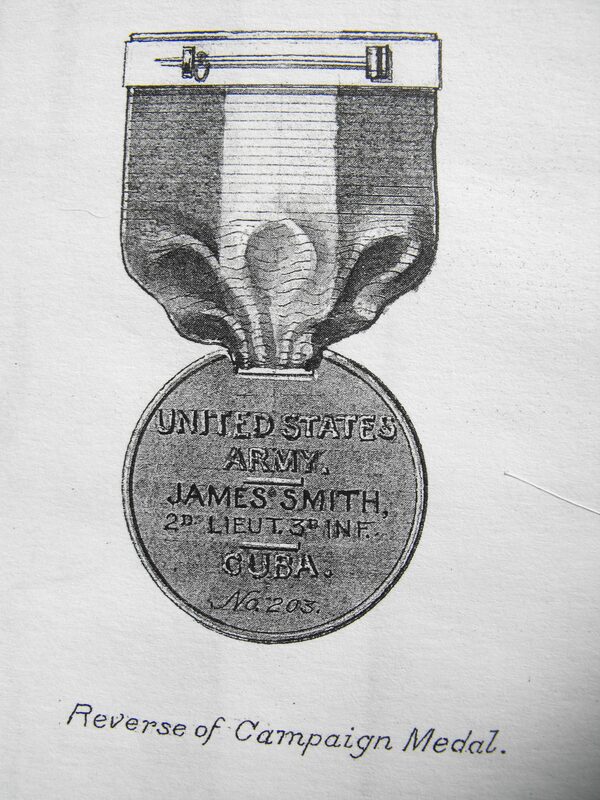 “Medals” were something Congress bestowed, non-wearable table pieces for military heroes, though recently Congress had approved the Dewey and Sampson Medals. However, by legislation those two medals were limited to US Navy personnel with no alternative for the Army. While there was recognition that America had become a world power as of 1902 there was no official recognition for the soldiers who had won the war and remained engaged around the world. And this when the Victoria Cross and the Iron Cross were household names even in America. The European precedent of awarding campaign medals to foot soldiers had been established nearly a century before. But in the decades after the US Civil War, for American soldiers and sailors, the closest thing to recognizing campaign service were the badges of military societies worn on active duty uniforms. If not awarded the Medal of Honor, bravery in battle was rewarded by promotion brevets in the Army and advancement in promotion numbers for Navy personnel. Thus a soldier’s or sailor’s bravery in battle more often than not had no visible means of recognition. There were no federal campaign medals, though there did exist a bewildering array of militia and marksmanship badges. Into this picture strides the imposing figure of Theodore Roosevelt, former colonel of volunteers in the Spanish-American War and now the young president of the United States. It is to him personally, for his interest and push, that today’s medal system owes a tremendous debt. The first document in the attachment is a letter to Roosevelt in 1902 from Richard Harding Davis, a famous journalist and author of the day. Davis had accompanied the US Army into the fighting in Cuba, covering the fighting for US newspaper readers. He had helped make Colonel Roosevelt a national hero, and the two men became fast friends. 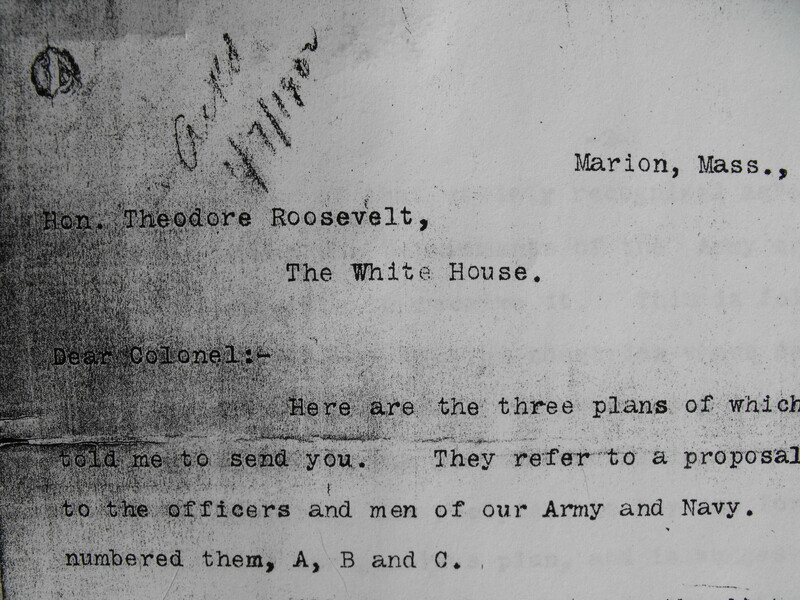 The letter here is clearly part of an ongoing conversation Roosevelt and Harding had been having on the topic of military medals, and the document here is a medals study Davis undertook for Roosevelt. Davis described what he’d seen in Europe. He also opined that the lack of federal awards was demeaning to the military, and use of society medals failed in its objective of recognizing war veterans because societies frequently emphasized the activities of ancestors. Current regulations should be completely overhauled. 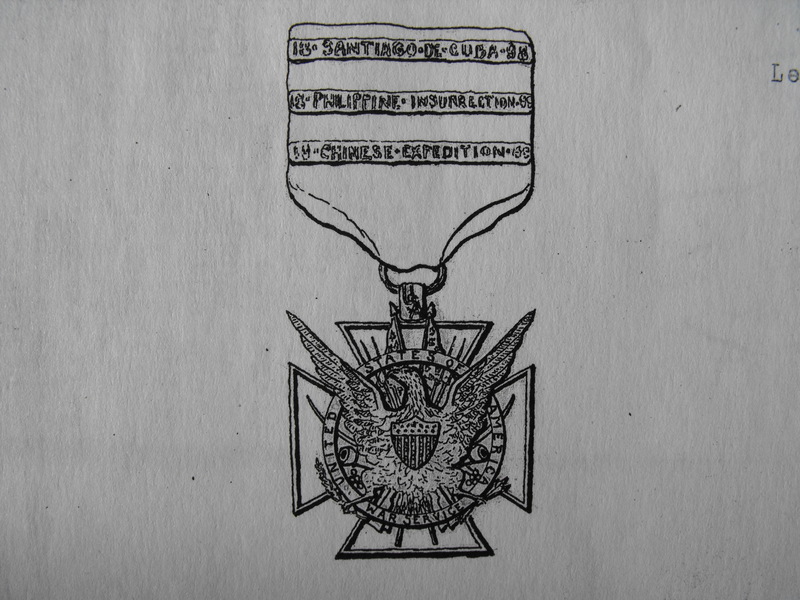 Within a few months of Harding’s letter to Roosevelt, and the White House’s endorsement of Harding’s study to the AGO, the US Army convened a board “on the advisability of presenting to Congress for legislative action the question of service medals.” The board proposed a Congressional resolution authorizing the creation of medals for all servicemen for the Spanish-American War, the Philippines Insurrection, and China, with bars for those participating in battles and campaigns. The board also suggested the creation of a medal for distinguished service not under fire. The Army’s leadership was not negligent when seeming to forget the US Civil War and the services of military members in the Indians Wars, but as those veterans were no longer in uniform the Army could see no way to issue medals for those conflicts without seeking Congressional approval for related expenditures given the huge number of Civil War veterans. The Army’s leadership was politically skilled, and they knew that involving Congress could have unfortunate results, now and going forward. No, the Army would stick to manageable numbers of medals for those still in uniform from its recent scraps. Set the precedent, then return to the idea of medals for earlier campaigns. In February 1903 the AGO created another board “to draft in detail” an order or changes to regulations for submission to the President. In a sense, this board was freed to examine basics as alterations had been recommended to Congress and “not acted upon.” This board reviewed designs for medals, ribbons and suspension broaches (“pins”). In May 1903 the Director of the US Mint was solicited for sketches. 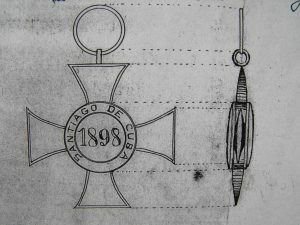 The board concluded by recommending that a medal design be by General Staff committee; that there be but one medal for all wars with different ribbons for the different wars; that there be unique ribbon bars for the different campaigns; and that the suspension pin indicate the name of the war. On January 3, 1905, the Army Chief of Staff wrote to the Secretary of War outlining a plan for issuing campaign badges and a badge for the Certificate of Merit. Drafts of the regulation language were proposed. If approved by the president the Army wished to pursue badges to commemorate services in the Civil War and the Indian wars. Badges for those no longer in uniform were thought to eventually come via legislation. This was all approved, and the following week the Army published General Orders 4 and 5. Those two orders established campaign badges as articles of the uniform to be issued by the Quartermaster General. Locations and dates of entitling service were described for the Spanish campaign badge, the Philippine campaign badge, and the China campaign badge. 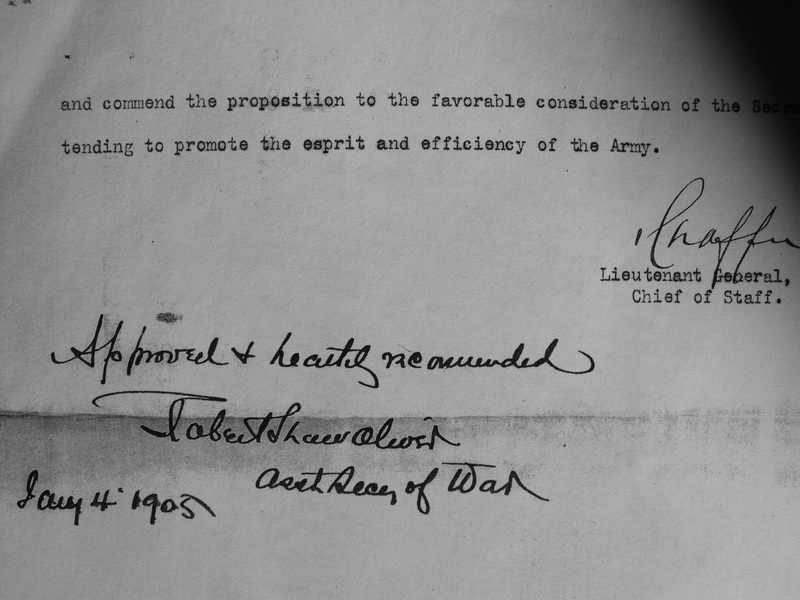 Lists of those entitled were to be drafted by military commands. I hope readers find these machinations as interesting as I did. An excellent bit of original research and great first blog posting! Well done! 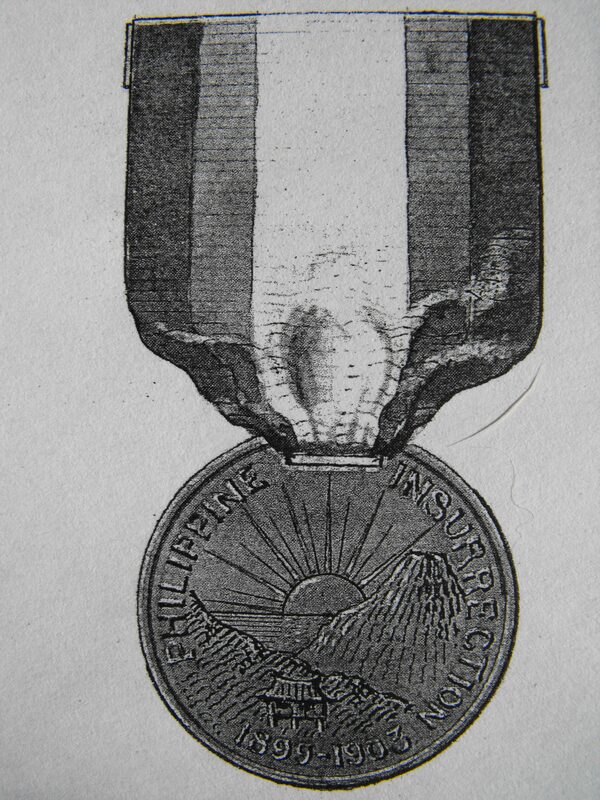 the Mexican Border Service Medal in 1919. He was Major General at his retirement in WWI at age 62. The number on each medal is #1.I am looking to find other medals he received from the Pa. National Guard etc. There are rolls for most of the individual Army campaign medals, but there is no single source for all the awards to an individual. From Pennsylvania Archives data on-line, it looks like Gen Clement received Pennsylvania Mexican Border Service Medal “2”. Pennsylvania awards of the period, other than the Mexican Border Service Medal, were generally unnumbered, so his records are likely to be the source for any such info. Thanks for sharing. Really interesting background that I had never seen.